Welcome To Asia Poultry Feeds (Pvt.) Ltd.! Asia Feeds is a leading Poultry Feed manufacturing company in Pakistan. 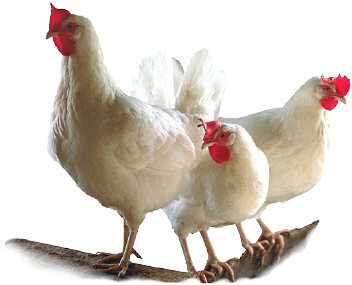 We introduce ourselves as a leading producer of top quality poultry feeds in Pakistan. The company was incorporated as Asia Poultry Feeds (Pvt.) Ltd. on Oct. 04, 1993 and started its production on Aug. 14, 1994. Since then the company has emerged as one of the top five poultry feed producing companies of Pakistan by applying the latest scientific concepts in poultry nutrition. Our business has been extended through out all four provinces of Pakistan and the company owns a most modern, state of the art feed production plant of Swiss and Italian origin. Consistency is the key word with Asia Feeds so far as the quality and regularity of supplies are concerned. Asia Feeds promises to offer the consistent quality and time bound regular supplies. This area lists over many poultry diseases / conditions. Simply select the disease of choice from the list below. Copyright 2010-2012 Asia Poultry Feeds (Pvt.) Ltd. All rights reserved.